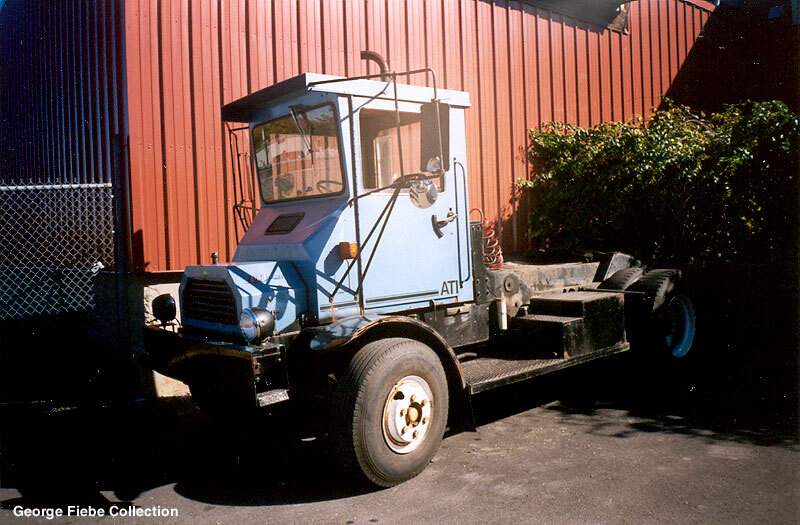 A very first terminal/yard tractor. Look at the wide step to get rear! 5th wheel is on end of chassic in shadow. Zoom on! ATI has been shipping freight internationally since 1990. We have an experienced team that will help guide you and your cargo to its destination. ATI USA was started by Ricardo Farfaro and Estrella Rodriguez and has grown to over X staff members. We have our own warehouse to store your merchandise if necessary. Our offices are located around the United States with our main head quarters in Elizabeth New Jersey right by the main pier. We have relationships with every major shipping line and can transport your vehicles, trucks and other merchandise using RO/RO (Roll on / Roll off) or Containerized methods and vessels. From our latest website you can request a quotation, and track your shipment(s). Looks like a rare Side-Cab Kenworth.rnСмотрится как древний Кенни с боковой кабиной, были такие.